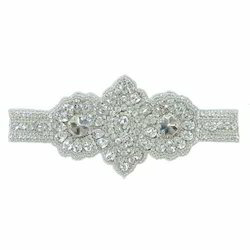 Prominent & Leading Exporter from Mumbai, we offer designer embroidered belt services, unique designer embroidered belt services, antique embroidered belt services and special embroidered belt. 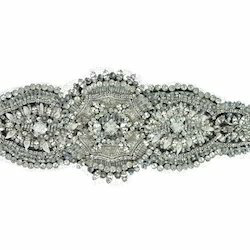 Unique Designer Embroidered Belt Services offered come with exciting embroidery work which makes them mesmerizing in looks. We make these available in exciting color shades and vibrant color combinations which make them attractive options to use. Some of its features include eye-catching and stylish designs, provide for aesthetic appearance, apt for self use and gifting purposes, stylish appearance and excellent finish, available in an impressive range and exotic designs. 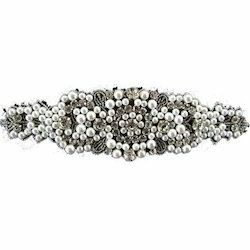 With the constant support of a qualified team of professionals, we are engaged in offering an extensive array of Antique Embroidered Belt Services in the market. Rendered in compliance with the industry standards using the modern technique with the help of progressive technology, we are offering this array as per the exact requirements of our customers. Embroidered Belt Services offeredcomes in quality finish support and can be developed using different material choice like polyester, leather and others according to customers' requests. Here, our expertise lies in offering these belts in choice of different colors like red, black, green and others with support of custom embroidery patterns. The belts are available in width option of 20mm/25mm and others as well as with logo print and other OEM construction choices as demanded by the customers.